Testbild! are known for a number of conceptual albums, where melodic and cinematic pop is blended with influences from 60's jazz and avant garde excursions in sound. 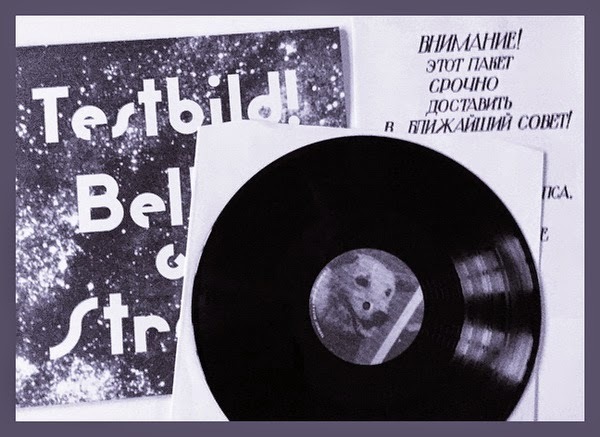 Belka & Strelka is no exception, but stands out in their discography as an album in which the electronic elements, especially the use of analogue synths, takes a more prominent position. No guitars were used on the recordings. The 19th of August 1960 two Russian stray dogs were sent up in space. Less than 24 hours later they became the first Earth-born creatures to go into orbit and return alive, hailed as radiant animal super heroes. Their names were Belka and Strelka. This is the sound of their triumphant journey.